With a Pictar Pro, your phone camera is upgraded to deliver better images with more DSLR-like controls. 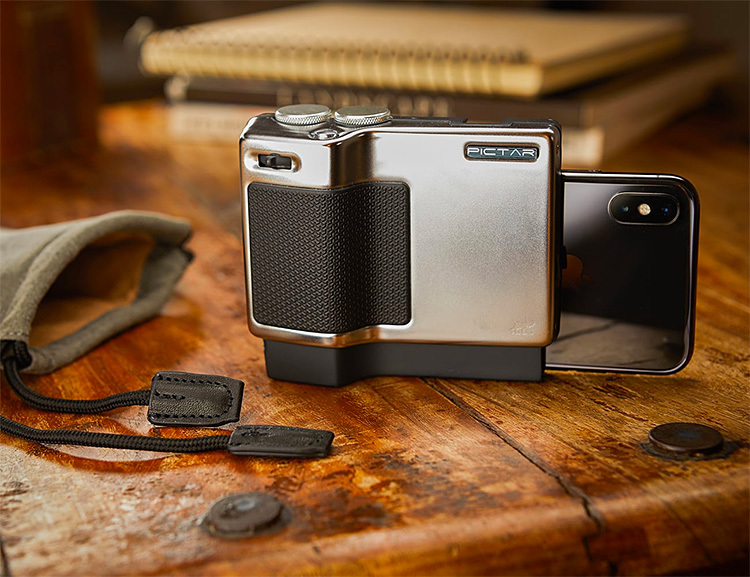 It gives your iPhone or Android device a camera-like grip as well as a viewfinder, shutter button, a zoom toggle, manual control wheels for exposure & mode adjustment, and an extra battery. And even with all these features and controls, it doesn’t require a wi-fi or wired connection to your phone.